Sharing and honorig our past. 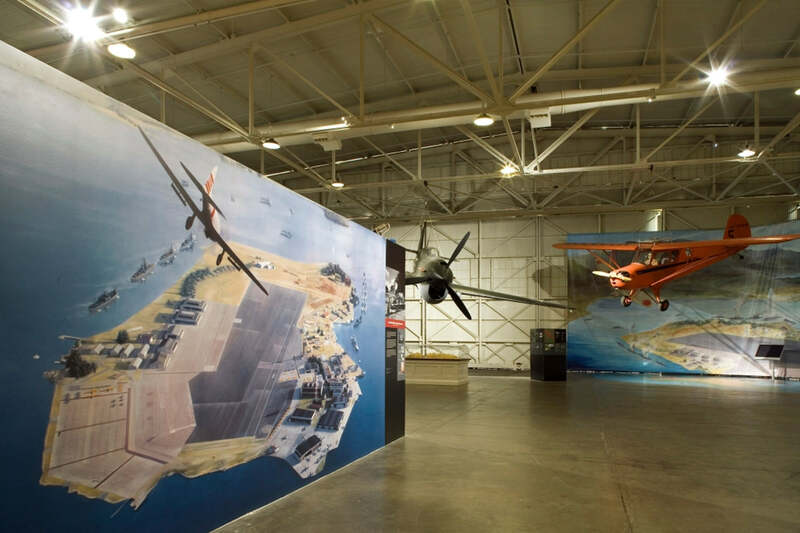 The Pacific Aviation Museum honors a piece of American history consisting of the three hangers and the Ford Island Control Tower that survived the Japanese attack on Pearl Harbor on December 7, 1941. Hangars 37, 79, and 54 stretch southwest from the Control Tower and stand neatly in a row, each with its own exterior design. Each hangar will be developed in a separate phase. 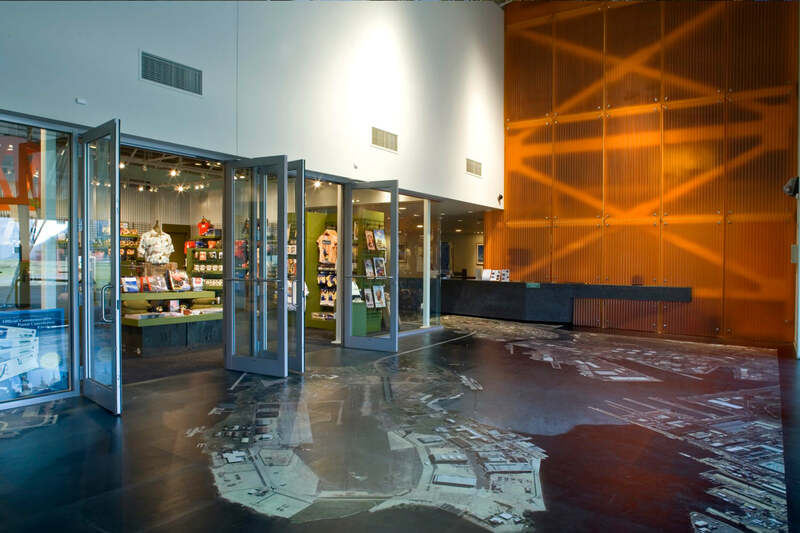 Phase 1, Hangar 37, is 42,442 SF, includes a museum shop, theater, food court, education center, and flight simulation area. 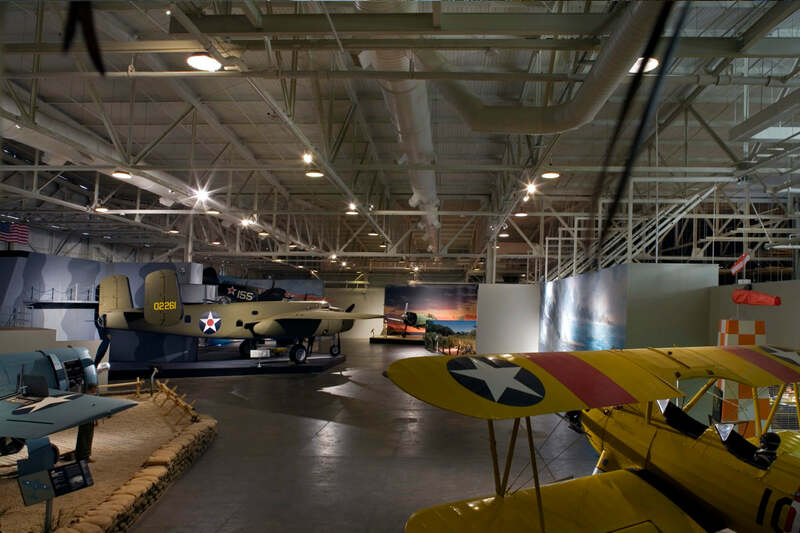 This section exhibits the aviation events from the Pacific region and houses a collection of restored aircraft and artifacts. Phase 2, Hangar 79, will consist of approximately 85,750 SF, highlighting the Korean War, Vietnam War, and the Cold War. 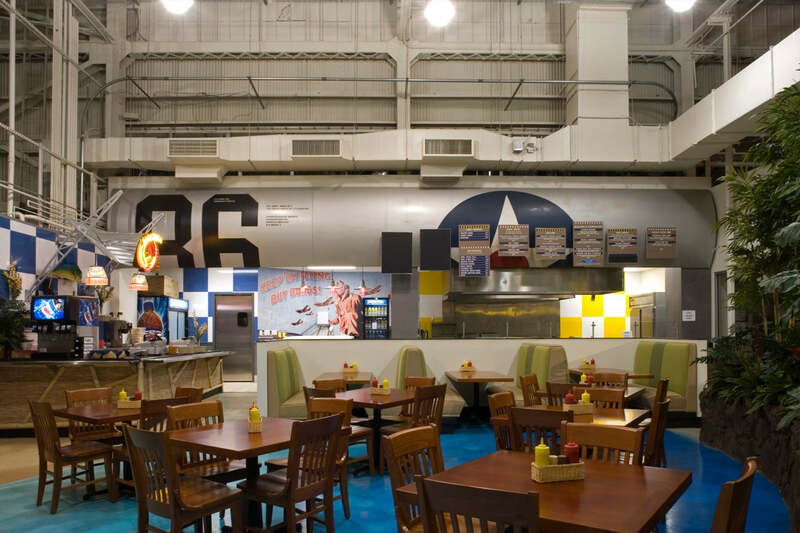 Phase 3, Hangar 54, will hold 76,069 SF featuring World War II and Pacific Theater exhibits. The final phase, Phase 4, is the iconic art deco orange and white checkerboard Control Tower that includes 8,886 SF of space for a dining room, a reception area, executive offices, and a Memorial Garden.Converting vintage airplane hangars to arresting museum spaces is a work in progress for AHL as it moves through four phases of development to turn Ford Island into an appealing educational center about aviation history. This old Navy airfield became part of history on December 7, 1941, and now begins a new stage of life.